Our guest this week is inner voice coach, Kelly Covert. She is the host of the popular podcast, "In Her Voice", which explores ways in which women can begin to love themselves fully every single day. 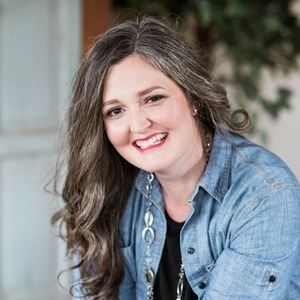 Kelly Covert has a passion for helping women lay down their lifelong habits of perfectionism and chronic overachieving, so they can listen to their inner voices and break free of the past. Through her coaching, online programs, writing and speaking, she is creating a movement of women that are practicing “worthy now” instead of “worthy if or when”. Her work has been featured on The Huffington Post, The Elephant Journal, YourTango.com, and she has been a featured guest on many podcasts. In this episode, we talk with Kelly and learn about how coaching has allowed her to exercise her dream of helping women while teaching her so much about herself. She shares how her inner voice work has allowed her to grow as a woman, a partner, a mom and a musician! -What to look for in a personal coach to meet your own goals. What sparks joy for Kelly: Coffee! The ability to take a long, hot bath in the morning and working on my new podcast!